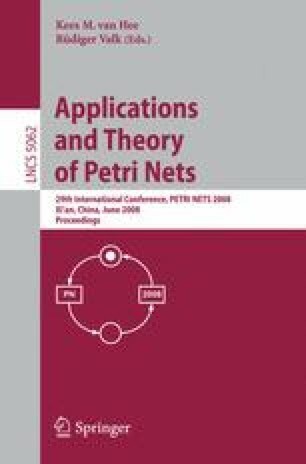 A Coloured Petri Net model implemented in CPN Tools is presented which simulates a potential future arrival planning process in air traffic control. The planning process includes a cooperation between airborne and ground side in which the aircraft involved provide information e.g. with regard to their estimated earliest and latest times of arrival at the airport. This information is then used by a planning system on the ground to establish a favorable sequence in which aircraft will be led to the runway. The model has been built in order to acquire a better understanding of how the behavior of individual actors (i.e. aircraft) within the cooperation influences the outcome of the overall sequence planning process. A peculiarity of the CP-net from a modeling point of view lies in the fact that state space analysis is used repeatedly during each cycle of the planning process to generate and evaluate the potential solutions to the sequence planning problem. The results gained through queries on the state space are then re-fed into the simulation and analysis for the next planning cycle. The results from the model will in future be used to build realistic scenarios and assumptions on how different actors will interact with the system from a human factors point of view.